Since 2015, Sport Creative has worked with the MidAtlantic Erg Sprints to maintain and develop the event’s website, creating appeal and driving engagement for a diverse audience ranging from scholastic athletes to those in their 70s and 80s. Hosted by the Alexandria Crew Boosters at TC Williams High School in Alexandria, VA, the Erg Sprints is the largest indoor rowing event for juniors in the United States and the largest satellite qualifying event for the World Indoor Rowing Championships (C.R.A.S.H.-Bs) which is held annually in Boston. First held in 1986, the Erg Sprints has grown to accommodate nearly 2,000 entries from 132 clubs racing throughout the day in 145 events. The Erg Sprints Board of Directors seeks to leverage their website and social media to reach a broad audience and create lots of buzz for their exciting event. Their website shows off large engaging photos, integrates social media feeds, and takes advantage of Google forms to collect volunteer data. New for the 2017 event: I incorporated an eCommerce solution that allows users to purchase ergs, t-shirts, and raffle tickets, and made it much easier for sponsors and vendors to sign up. Erg Sprints also retained Sport Creative to develop and deploy a social media marketing plan. Leveraging Twitter, facebook, and facebook promotions, we reached 80,000 people over eight weeks, leading to a significant increase in page likes and views, post engagement, tweet impressions, profile visits, mentions, and followers. Besides the professional relationship I have with Erg Sprints, I also participate. In 2015, 2016, and 2017 I trained for – and completed – the erg half marathon. Want to read more? 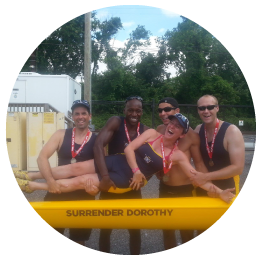 Check out my blog post about my 2015 row on RowSource.com and find out what it was like to go up against an World Record-setting Olympian.